Look Who’s Got a Letter! Receiving a letter from sponsors is a joy to be shared with others. For many children, letters they receive from sponsors are prized possessions which they bring home to show to parents, siblings, relatives, and friends. Here are some joyful expressions which we have gathered from the field. Primus, age 6, came to school with his mom and his younger sister to receive the card and letter from his sponsor. He took the card, showed it around with a beaming face and said, “This is mine.” His joy is shared with his sister and fellow kindergarteners at the local early childhood center as they giggle looking at the cards and the photo sent by Primus’ sponsor. 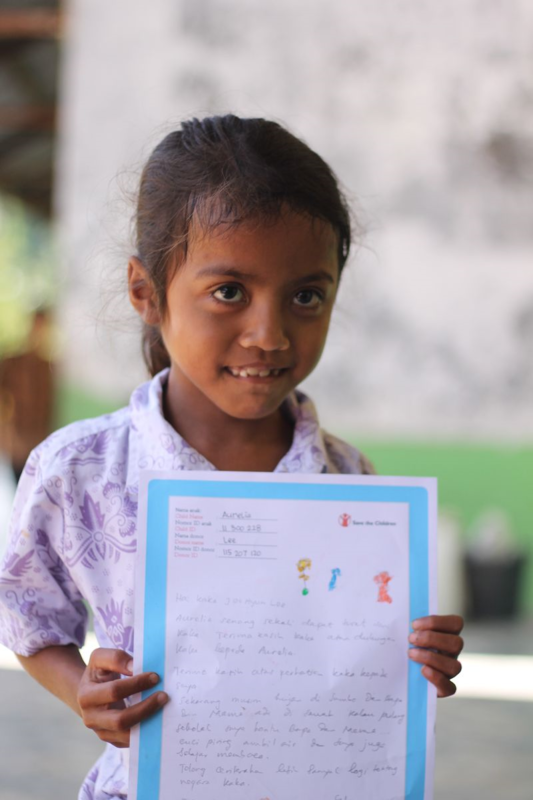 Aurelia, age 7, still seemed not to believe that the letter sent by her sponsor was actually for her. She inquired, “Is it really for me?” It was the first letter that Aurelia has ever received so she held it tightly to her chest and wanted to go home promptly to show her parents. She is eager to write back and draw for her sponsor. It is amazing to see how letters from sponsors can spark contagious joy, breed a sense of worth, ignite inspiration to study harder, and cherish a dream of one day becoming different from who they are now. Every two months 10 million people are either born in or move to cities; a trend that will continue at least through to 2030. 94% of these people will live in cities in the developing world. Each morning Sutriawati arrives early at the school where she is a Grade 3 teacher in Cilincing, North Jakarta. Even early in the morning the streets are busy as fishermen head to their boats; small business owners load their wares on motorbikes and children go to school. Sutriawaiti often jumps over rubbish-strewn puddles during her journey. Cilincing is one of Jakarta’s poorest and most densely populated areas. 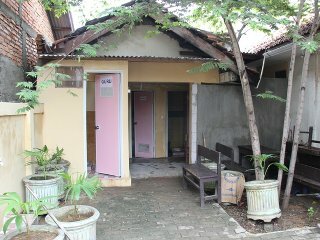 It has one of the highest concentrations of poverty in North Jakarta. It is a glimpse into a new world that is dawning across the globe – a world of cities. More than a billion children now live in cities and towns worldwide. Many of them face an urban experience like the students at Sutriawaiti’s school. A world in which they live just over the horizon from the awe-inspiring vitality of ‘the city’, while struggling to meet their basic needs. Save the Children understands that over the next 15 years this transformation will only speed up. We are responding by increasing the number of projects we run in cities. Perhaps we can be more assertive here, and say this is the ‘changing face of poverty’ or the ‘urbanisation of poverty’. Some have asked us why we are focusing on this since ‘real poverty’ is concentrated in rural areas. While there is no doubt that a significant proportion of rural populations face deprivation, we believe that the emerging urban poor represents the changing face of poverty. And that, more importantly, children are the first casualties of urban poverty. Projects like the Strengthening Education through Awareness and Reading Achievement project in North Jakarta are an example of our commitment. The programme takes a multi-dimensional approach to school safety. “After I participated in the training from Save the Children, I realised the importance of prioritising the various aspects of the healthy school.” After the training, Sutriawati worked with the superintendent and school management committee to identify funds to “build five toilets, two for boys, two for girls, and one for the teachers”. She also organised the students to help her collect garbage every day before the start of class. On 31 October 2014 Save the Children is proud to support the first World Cities Day. The theme for this year’s celebration is ‘Leading Urban Transformations’. UN Habitat launched Urban October, a month for raising awareness on urban challenges and opportunities with the public. It is the month for stimulating debates and moving forward commitments. We’re proud to support the urban transformation happening in the more than 300 urban communities we operate in across the world. Many of the newest and most vulnerable city dwellers aren’t benefiting from the opportunities of the city. We believe that if cities are to transform – the world must ensure that all families are prospering. Everyone deserves access to good schools, health clinics, jobs, sanitation systems, and safe communities. We have a historic opportunity to harness the potential of cities to reduce poverty. But we cannot ignore the urban poor. Help us raise awareness about the growing number of poor urban families across the globe. Tweet your ideas about how we can harness their energy to transform cities to @citiesforkids @savethechildren or @UNHABITAT using the hashtags #allurbanchildren #worldcitiesday or #transformcities #urbanoctober #HabitatIII. Sponsorship staff regularly monitor programs and talk with beneficiary communities. 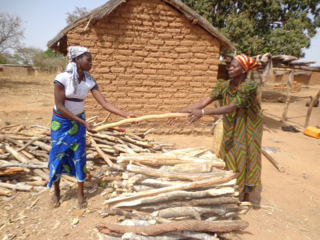 The purpose of this exercise is to gauge the feeling of community members about Sponsorship-funded activities, assess their level of satisfaction with those services and make adjustments to them as necessary. It also provides an opportunity to get a sense of what parents envision for their children from an education perspective. Lassine Kane, Sponsorship Operations Coordinator, has just wrapped up such a field visit. Here is an interview he conducted with Achitan, mother of a sponsored girl in Farako Community. Lassine: Hello! Can you introduce yourself? Achitan: Thank you for your visit. My name is Achitan. I don’t know my exact age, but am around 40 years old. I am married to Abdoulaye. I have 9 children who are all alive: 4 boys and 5 girls. We all live together here in the community of Farako. I am a housewife. In addition to my household activities, I sell firewood to make some money and take care of some of the day-to-day expenses of the family. Lassine: Do you know Save the Children and its Sponsorship program? Achitan: Oh yes! ‘Projet Save’ is an organization that works towards the well-being of children. They have a friendship program [Sponsorship] here through which they connect the children of Farako to people in white men’s country. ‘Projet Save’ has been around for quite some time now; I think they introduced their friendship program to Farako six years ago. Lassine: Do any of your children participate in Sponsorship? 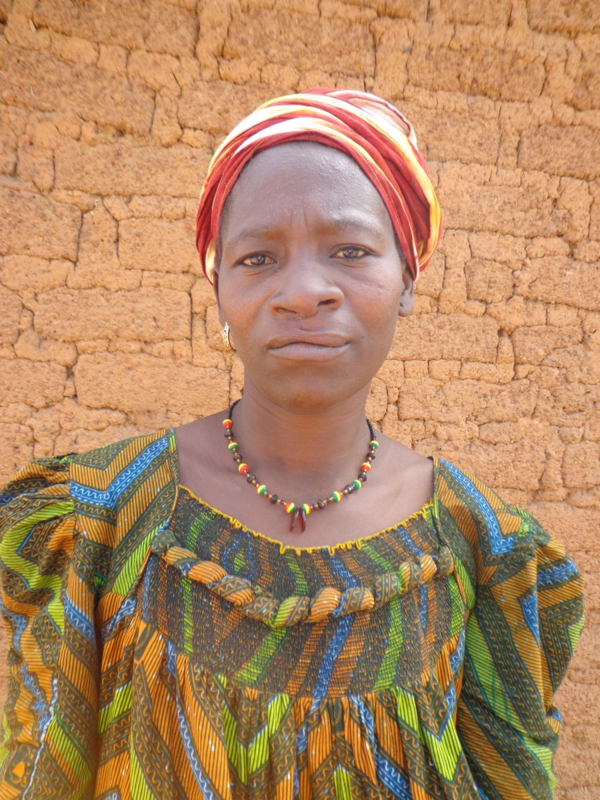 Achitan: Yes, Fatoumata, my third child who attends Grade 7, has a friend in the white men’s country. And her friend even sends her letters. When Fatoumata receives a letter from her friend, she feels very happy. Her friend often gives her advice and encourages her to attend school regularly and study hard. Lassine: Which of the Sponsorship Programs do you value most in your community? Achitan: ‘Projet Save’ does many things here. But I would say that their education activity is what I appreciate most. Lassine: Why? What does the education of your children mean to you? Do you think education is important? Achitan: Neither my husband nor I went to school. Many adults in this community didn’t go to school either. Because of that, people suffer. Unless your own children attend school and can read and write, you have to go out and look for somebody who can read or write letters for you. And sometimes you feel obliged to give them something as a token. But what’s bothers me is when people who are not part of your family are aware of personal matters that are mentioned in the letter. When a child goes to school, the entire family benefits from it. Take Fatoumata, my daughter, for example. She teaches me certain things she learns at school such as the importance of washing hands before eating or after using toilet. We hear good things about those whose children went to school. They live in beautiful homes, eat good food and dress well because their children have become important people because of school. I too want my children to attain in school and care for my family. Lassine: You really have some good points. But why then are all your children not going to school? Achitan: No, you are wrong. All of my children attend school except the last one who has not yet reached the school going age. But I don’t know whether they will be able to complete school because we are a poor family struggling to make ends meet. But we will try to keep them in school, because school is important. Lassine: Do you have any message for the friends [sponsors] of the Farako children? Achitan: Yes. The support that the friends of children are providing Farako with is crucial. And everybody here is benefitting – school children and their parents. I am very grateful for their commitment and generosity to the children of Farako. I can assure you that my sentiment is widely shared here – just ask around and you will see for yourself. The self-flagellation and recriminations must come later. What must come now, with not one iota of a caveat, qualification or delay, is an unprecedented global effort to prevent Ebola from shattering the futures of a whole generation of children in Guinea, Liberia and Sierra Leone. I write this from Monrovia, Liberia’s capital. This country accounts for more than 2,000 of the 3,400 estimated deaths from Ebola across the region, but with cases going unreported, some choosing to die without seeking help, and others succumbing in communities which are barely accessible, that is almost certainly a gross underestimate. 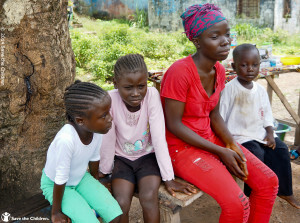 UNICEF calculates that around 2,000 children in Liberia have lost both parents to the virus. And what faces a child in this position? The chances are, they will be a ‘contact’, meaning they were in very close proximity to someone who had Ebola. For those who are identified, this means 21 days under quarantine being monitored every day for symptoms. For some children here, it means being pushed to the margins of society, and rejected by a community whose instinct to help is paralysed by their sheer terror of this horrific disease. All this means that Jennifer*, is comparatively fortunate. She is living under quarantine with her aunt, her two brothers Robin*, 6 and Luke*, 12, and her 13-year-old big sister Sarah* (* indicates all names have been changed to protect identity). Their mother became sick a little over a month ago, and passed away on September 7 at MSF’s ELWA treatment centre in Monrovia. Just two weeks later, their father died in the same facility. It was only at this point that the children were placed under quarantine with their aunt. We provided them with a 21-day Survival Pack. It includes food, water, and hygiene items to help sustain them whilst under quarantine. We will give psychosocial support to try and help them cope. But like all children here now, they face a precariously uncertain future. Not everyone will accept that they are safe to be around and to play with, even when they emerge from isolation. Save the Children has been running a mass public campaign to educate people about Ebola. Messages are broadcast three times a day, every day, on 14 different radio stations in 8 of Liberia’s 15 counties. They are estimated to have reached 260,000 people. We created tens of thousands of Ebola awareness posters and factsheets for the Ministry of Health to distribute, and we are now running training sessions with healthcare workers on infection prevention and control to allow them to reopen clinics that have been forced to shut. Although the challenge is unprecedented, and the prognosis for the spread of this virus wildly unpredictable, there are some certainties – a co-ordinated global effort on the scale required will save thousands of lives, and there are going to be many, many children who require the world’s compassion, care and attention for some time to come. 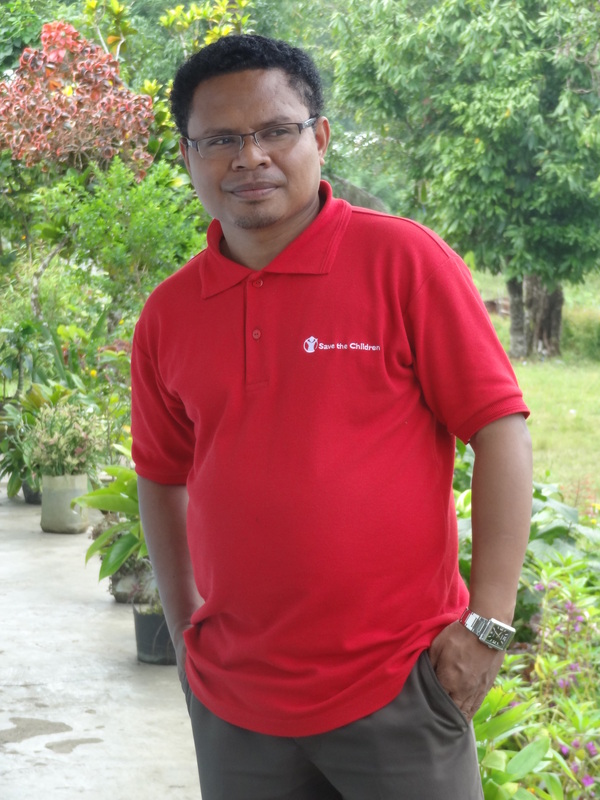 Save the Children is scaling up its operations. The Ebola Treatment Center we built in Bong is being run by International Medical Corps and already saving lives. We are building another in Margibi, where our teams are also hard at work constructing 10 Community Care Centres and mobilising communities to use them so that people are not left to die with no access to health care. But it’s not enough. We know it’s not enough. The families here know it’s not enough. The international and humanitarian community must pour money, technical expertise and equipment into Liberia and across the region. We must not reflect on this crisis in years to come and realise we did not do enough, and that thousands of people lost their lives as a result. 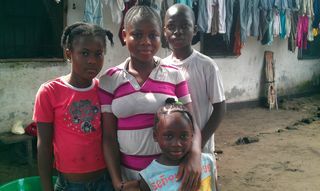 Please support our Ebola Children's Relief Fund. Lightning strikes as an instantaneous thunderclap bursts around your house. You begin to wonder if the batteries in your flashlight are working or if yesterday’s grocery purchases will spoil before the power is restored. You see, your child is calm and knows exactly where to find the flashlight. These are behaviors she learned from Save the Children’s Prep Rally program– new emergency program that teaches kids basic preparedness skills through interactive activities and games. Tucked into the heart of Appalachia, Owsley County, Kentucky is a very rural area with disaster risks covering everything from flooding and tornadoes to wildfires and earthquakes. Children are the most vulnerable during disaster, and as a nation, we are underprepared to protect them during emergencies. Twenty-one states lack basic regulations for protecting children in schools and child care and 74 percent of parents don’t feel very prepared to protect their kids. The Prep Rally Program was created with the understanding – that we can’t prevent disasters from happening, but it’s how we prepare for them that will make the difference. Owsley County community leaders, including school staff, emergency services, first responders and government officials, banded together to plan a Prep Rally that would help children in Owsley Elementary School’s Afterschool program be ready to weather any storm. During after-school programming in the week leading up to their Prep Rally, Owsley students read books about preparedness and survival as part of their literacy lessons. They discussed the risks for natural disasters in their community and learned how to design a safety plan at home and how to reunite with their families should disaster strike. On the day of the community Prep Rally event, the children kicked things off with a Get Ready Get Safe cheers and the Mayor of Booneville declared it Get Ready Get Safe Emergency Preparedness Day! The mayor also led the Preparedness Pledge, encouraging the children to talk with and make a plan with their families. 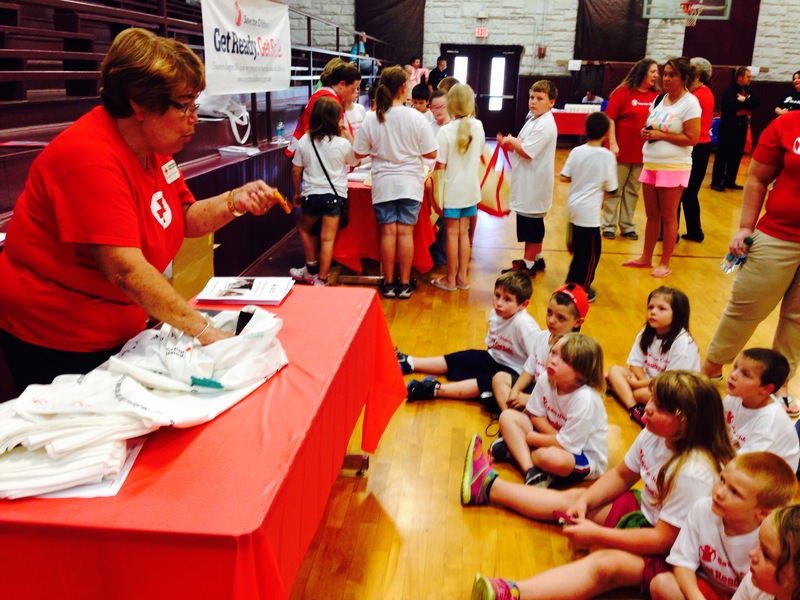 Then children rotated through five themed stations including the Pillowcase Project, Red Cross coping skills, fire safety, tornado safety and water safety. Children were able to talk with local firefighters and police as well as climb aboard and explore fire truck and emergency medical helicopter. “The students became more familiar with the types of disasters and how to be better prepared to cope with them,” said Phyllis Bowman, Owsley’s afterschool program coordinator. “Even though we are a small community with limited resources, the response from our emergency people was great. This is indicative of their support of our children." In addition to getting kids pumped to prep, the community Prep Rally created a dialogue between schools to work with emergency services agencies, and government officials about how to best prepare and protect Owsley County. The Owsley Elementary event is just one example of a successful Prep Rally- which has been implemented in 10 states serving thousands of children and families. The best part of the Prep Rally curriculum is that it can be shaped to fit the specific needs of your community—whether it’s a scout troop, afterschool, summer camp, or the beginning of tornado season. 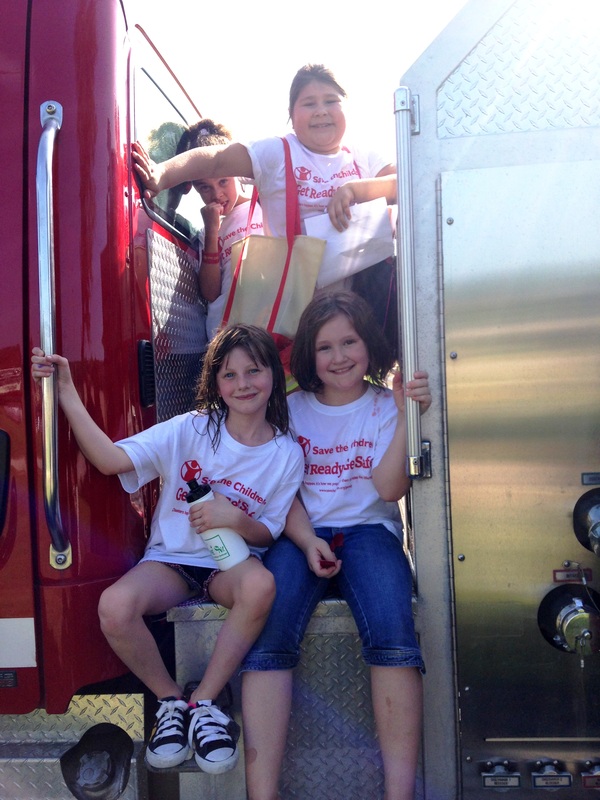 Is Your Community Prepared to Protect Kids in Emergencies? And register your Community Prep Rally for the chance for Save the Children ambassador Lassie to visit your event! Yet for people living in the affected countries, this crisis isn't about numbers. It's only about loved ones who are sick, and who are dying. 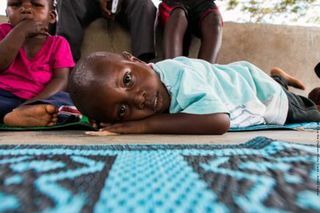 Sam is around three years old and lives in the remote district of Kailahun, eastern Sierra Leone, which has been heavily affected by the outbreak. When Sam's mother caught Ebola, she brought him and his little brother Peter to the Ebola treatment center run by Médecins Sans Frontières‎. Neither Sam nor Peter was found to have symptoms of Ebola, so they were taken to an interim care center supported by Save the Children. Sam was very thin when he arrived, and later developed a sore throat. The team at the care center made sure he had the treatment he needed to get better. Sam's younger brother Peter was not so lucky. He developed symptoms of the disease and was immediately transferred to the treatment center but sadly, he died shortly afterwards. However, there is a little good news in the midst of this family tragedy: Sam's mother has made a full recovery. She now lives at the care center with Sam, where she is able to help out. Sam is not currently believed to have Ebola, but he and his mother must wait until the 21-day incubation period is over to be sure. At the moment Sam is healthy and being cared for. Without the support provided at the Save the Children-supported interim care center, Sam would have been more vulnerable to catching this deadly disease. Instead, he has been looked after throughout this extremely traumatic experience. Unfortunately, this interim care center is one of very few such places currently operating in Sierra Leone. There are 2.5 million children under five living in areas affected by the Ebola outbreak. They are at risk of catching the disease themselves but also of losing their parents or carers. 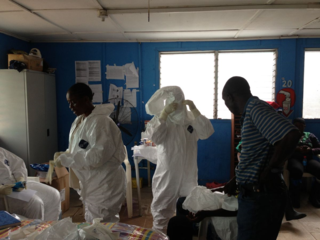 The scale of this outbreak can seem paralysing; but we can help, and we must act. It's vital that we continue to raise awareness and educate people on preventing the disease's spread. It's equally important that there are sufficient care facilities and trained staff to handle cases. When Sam's mother got sick, she recognised the symptoms and knew where to go. In a terrible situation, she did the best for her family. We want to enable many more families to do the same. We have already trained more than 3,000 community health workers, to go from house to house explaining how to prevent infection. 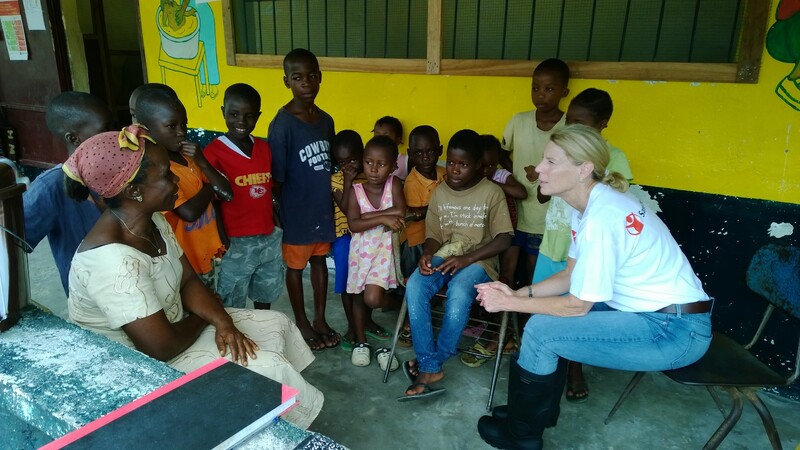 We have also set up a treatment center in Liberia, and planning to set up more. So far, we have reached more than 265,000 people across four countries. But we need to do much more. Please support our Ebola Children's Relief Fund.